It's always good to be prepared before moving to a new place. I have pulled together this list about what living as an expat in Singapore is really like so you know what you are getting into! 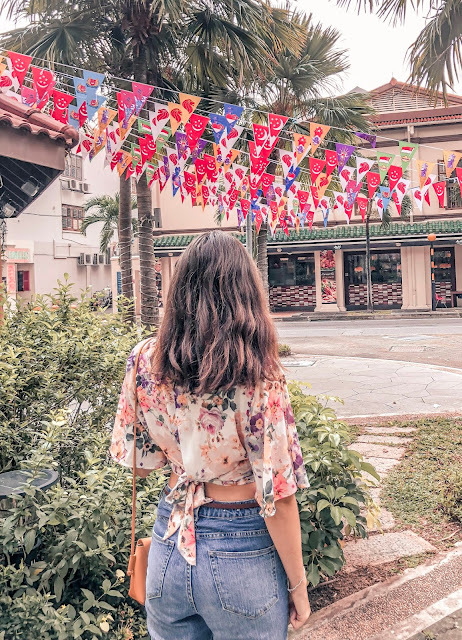 Whether you are planning a move to Singapore or already live there, I'm sure these 10 truths about living as an expat in Singapore will make you smile! S$10 for a glass of wine? Scandalous! A month later... oh wow a S$10 deal on wine, sounds great to me! The prices are crazy (but the low tax rate compensates somewhat) and at first you will be shocked every time you buy something. Also the pesky 17% added onto prices for tax and service is annoying but after a while you'll mentally add it on every time anyway. I did a poll on my Instagram account a while back to ask if people prefer to read lengthy detailed destination guides or quick tips to read in five minutes. Whilst the result was mixed, 70% voted for quick tips so here is my first in a series of 'top ten travel tips' guides, starting with what you need to know for a day trip to Macau from Hong Kong. 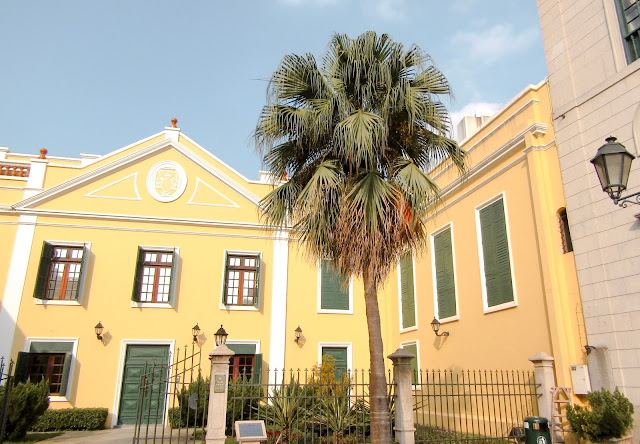 There is more to do in Macau than you may think. 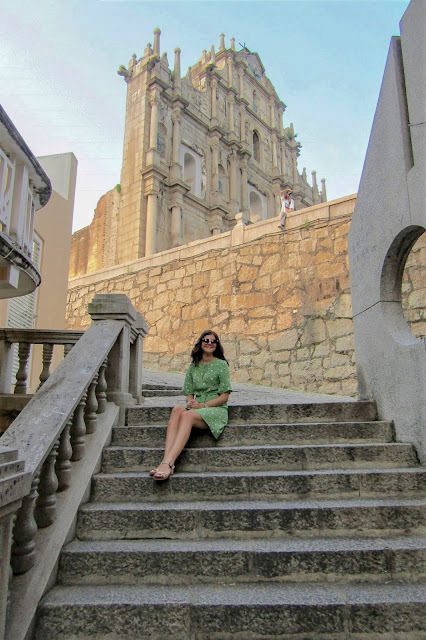 With a mix of the old town with its European influence and casinos to rival those found in Las Vegas, a full day is needed to see everything this charming ex- Portugese colony has to offer. We travelled there by TurboJet ferry and had no problem buying our tickets on the day at the ferry terminal. Whilst you specify your return time, it is possible to get an earlier ferry by joining a standby queue. I would recommend choosing a later time for your return booking as it is not guaranteed that you will be able to join a later ferry on standby, particularly on a weekend. When you exit the ferry terminal you will see free buses lined up to take you to the various casinos. Please note that there don't tend to be shuttles between the different casinos themselves so you will need to go back to the ferry terminal to get on a different shuttle to another casino. If you want to visit the old town (a must!) 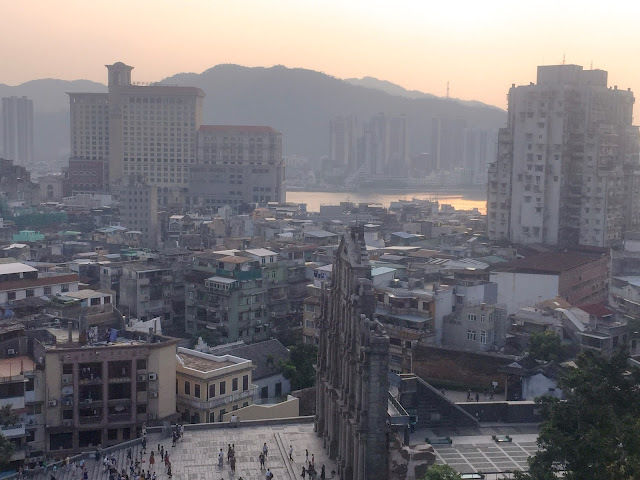 then the Grand Lisboa is within walking distance of the old streets so it is worth taking the shuttle there and then walking down as it is a pleasant, easy walk. It's worth noting this as we were worried we would have to withdraw Macanese pataca (their local currency). All the casinos and shops in the old town accepted HKD so you can use the cash you have already withdrawn for your Hong Kong trip. There are also cash points in most of the casinos if you run out. We visited on a weekend which meant this was higher but it was tricky to find blackjack and roulette tables with low minimum bets. The best we found for blackjack was 200 HKD (around £20 at time of writing) but these tables were often too busy to join. Chinese gamblers don't tend to drink alcohol whilst they are playing so don't expect every casino to dish out free booze like they would in Vegas. We asked for a drink in a couple and had the choice of tea, coffee, soft drinks or water. The only casino where we successfully got free gin and tonics and vodka and coke was in the MGM Macau. They were very generous with this: just grab a waiter and they will serve you drinks as long as you are spending money! If you haven't had the chance to try any in Hong Kong, an egg tart is a must. They are served warm, deliciously creamy and the custard has a stronger egg flavour than those in Portugal. Lord Stow's is popular and has several outlets in Macau. The old town is so pretty and very unique. The streets feel very European but you are surrounded by people from Asia and the smell of Chinese food cooking! Very surreal. I would recommend going to see these beautiful ruins as a priority in your old town visit and on the way you will pass some very pretty, cobbled streets. Trying a Portugese egg tart is a must: you will find plenty of vendors selling these on your way to the ruins. If you like colourful houses and photogenic streets you will love this spot in the old town. It's an extra special photo spot as you can capture St. Paul's in the background. It gets very busy so it is best to visit early if you want that perfect Instagram shot. Whilst we didn't go inside the museum, this was a lovely spot to look out on the city, where old meets new. We went up around sunset time so we could take in the views before walking down to the Wynn Hotel to watch the evening water fountain show. Turn left at the front of the Ruins of St. Paul's and you will see sign posts directing you to the museum, where you can get beautiful open views. Just be warned we felt like celebrities here as one of a very small number of westerners we were asked for selfies with locals constantly! I hope this has helped those planning a day trip to Macau. Please let me know any other tips in the comments! Living abroad has made me realise how much I actually appreciate really well done, home-comfort style food. Seminyak was literally foodie heaven as all I wanted to do was eat all the food I have missed! 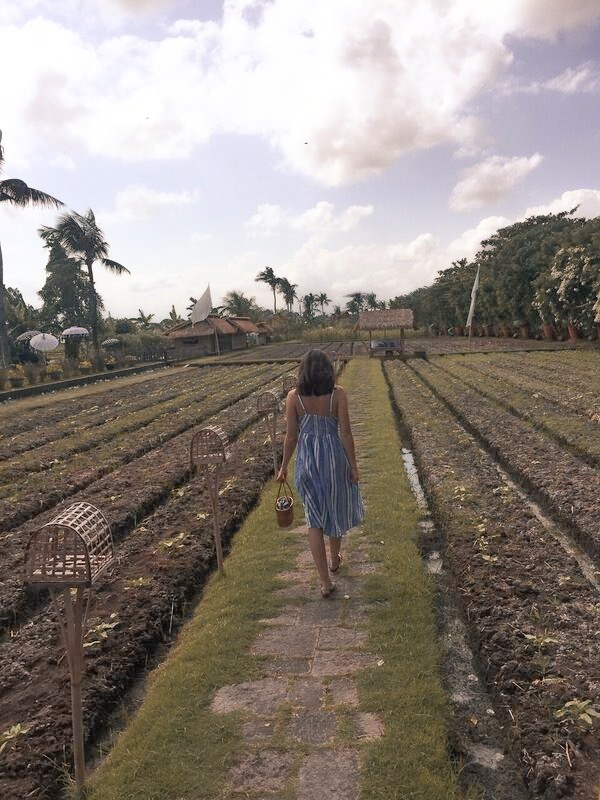 Here is my tried and tested list of the best restaurants in Seminyak, in fact probably the best restaurants in Bali... we didn't have a bad meal in a week so it was tough to narrow it down. This was the first restaurant we tried in Seminyak and we were so excited to finally get there after seeing it all over Instagram! Believe me it was well worth the wait. Everything on the menu sounds amazing and we couldn't decide so went for the 'feed me' set menu. It was fun not knowing what was going to come out next and we got so many different courses. The highlights had to be their nachos with the best guacamole I've ever tried and the fish tacos. It's a very fun, busy place with loud music and a party atmosphere. You can be seated on sharing tables so might not be for everyone but if you are looking for a lively place with fantastic food it is perfect! I wanted to write a post about where to live in Singapore as an expat as this is a question I see asked so often on expat groups and something which I really struggled with when moving here. 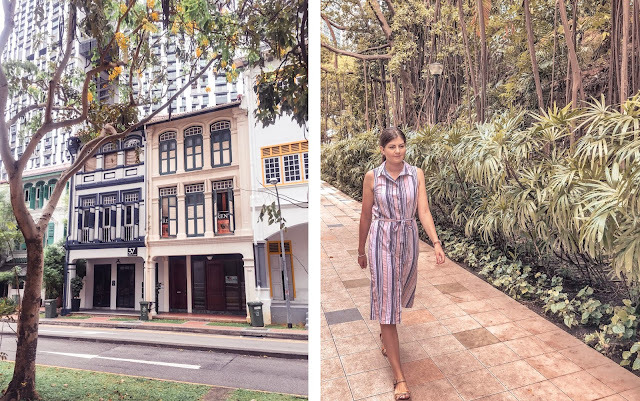 Despite Singapore being a small country there are still so many different areas to live in depending what kind of lifestyle you are looking for. We have lived in two very different areas and here is an honest review of how we have found them. Having just returned from a month travelling with my other half I thought it was a great time to share my top 10 tips for travelling as a couple for 24 hours a day, in very different cultures when you are both tired from day-to-day life. Although it was the best, most special experience of our lives there were times when we found it really stressful! Now we have come home enriched, happier than ever and already planning our next adventure together.